Serve with a fresh squeeze of lemon. 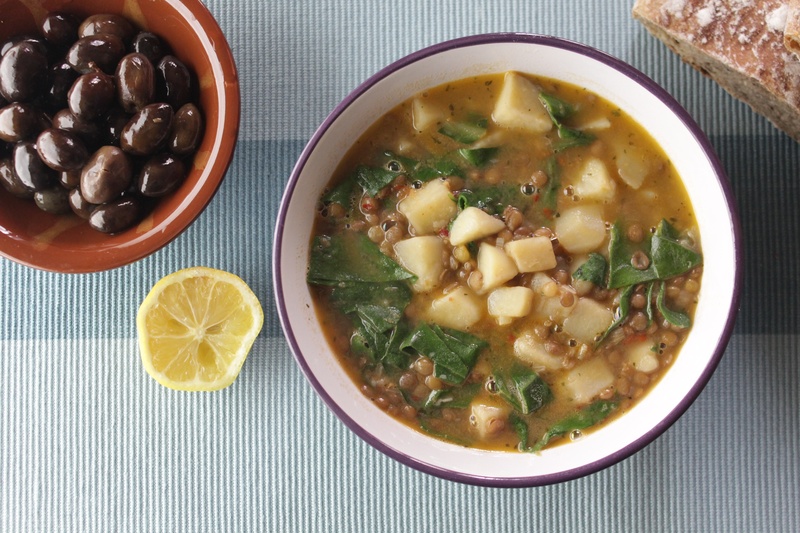 In our household, zekhlov tettecherig, or lentil chard soup, is a main dish. We serve this dish with any or a combination of the following sides: olives, olive spread, fresh sourdough bread, croutons, or bruschetta.